Are you in the market for the best hair clippers, but have no idea what model to select? There are a number of considerations that must be made when selecting the right hair clippers for you. First of all, you must consider your specific requirements. This is the only way to ensure you get what you want. Even some of the more premium hair clippers might have missing features that you really need. In this guide of the best hair clippers, we will share the best options on the market right now. You’ll also get options for different price ranges so that you can match the hair clipper with your budget. It doesn’t matter if you’re buying hair clippers for home use or running a professional barbershop. You’ll find an option to suit your needs on this list. Good cut for less than $30. Easy for beginners. Great for professional hair stylists. There are a number of beginner-friendly models on our list that will make learning how to cut hair a pleasant process. It’s all about selecting a model you feel comfortable using. The hair trimmers in the comparison table below are roughly sorted according to their price, from lowest to highest. Have a look at the Wahl 5 Star Balding if you need an extremely close shave because you shave your head. Professional hair stylists should look at more expensive hair clippers because they have powerful motors that will last through everyday use. They will also get a closer and more consistent cut which is important to get people to come back to your barber’s chair. For the budget option that will not put a big dent in your wallet, this category is the right one for you. For under $40 you can get a hair clipper that can get the job done right and offer a number of guide combs to help you. 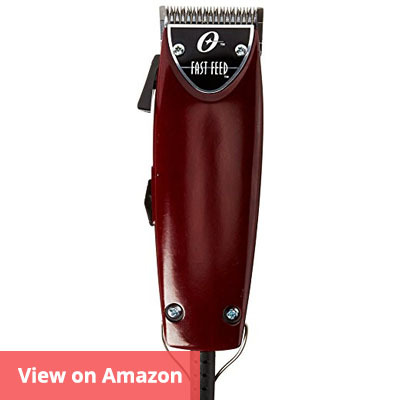 You’ll find that the overall quality of the top hair clippers in this category is almost as good as higher priced models. The only difference is that a bit of polish is lacking, which means they are not suited for professional use. 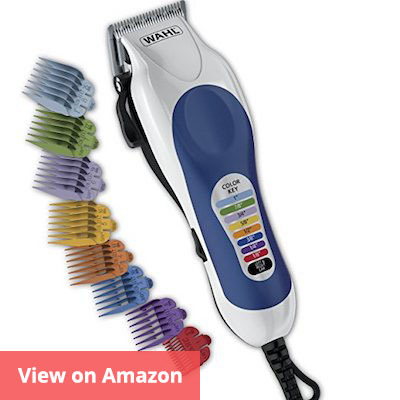 For a budget option that costs around $20, the Wahl Color Pro 79300-400T is a solid choice. The color-coded design makes it easy for beginners to get used to it, and learn the basics of cutting hair. The design is sturdy for the price and you’re getting good value for money with this purchase. There are 8 color-coded combs that allow for different lengths of hair to be cut. Getting confused between the different sizes is not going to happen since they come in a variety of different colors. The blades have a self-sharpening design, which means they will stay sharper for longer. Cutting hair is a much easier process when the blades are sharp. It saves time and the experience for the person getting the haircut is a more pleasant one. It prevents instances where hair is pulled due to getting caught between the blades. The taper lever is great for when you want to adjust the length of the haircut. It allows for custom cutting length to be achieved so that you’re able to get the end result that is intended. This lever has a sturdy design and will not break down due to use any time soon. This is a corded hair clipper so you’ll need so if you’re looking for a portable version then you’ll need to opt for another model. A corded hair trimmer has the advantage of not requiring any charging, but you are restricted in movement by the cord. This product is great for users that want a versatile product capable of different uses. 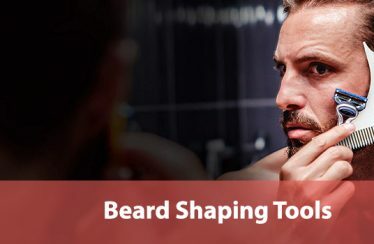 It can be used for haircuts, or men can do some grooming on their own. It’s easy to use and for the price the performance is great. To conclude, the Wahl Color Pro 79300-400T is a solid choice for the amateur user that is looking for a budget option. The color-coded design of the guide combs means you are getting a unique looking product. 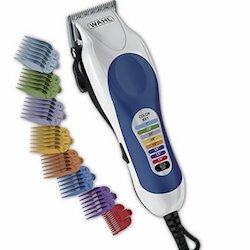 For those looking to buy their first hair clippers, the Wahl Color Pro 79300-400T is an excellent choice. For the price, the Wahl Elite Pro offers a great deal and it is one of the top selling hair clippers on the market. The price is family friendly, which means you can use it to save money on haircuts for the entire family. A lot of family hair clippers have a flimsy build that is prone to break, but the Wahl Elite Pro has a solid build that you can rely on for years to come. Furthermore, the self-sharpening blades are great for getting a consistent cut. Replacing the blades frequently is not a concern with this hair clipper. For the budget price, the motor is both durable and powerful. It’s estimated that this motor has 15% more power than the Powerdrive Premium model. Wahl stands by the quality of engineering in this product. The secure fit of the guide combs design allows the overall feel to be solid. One of the key advantages to this product is the complete set of 14 guide combs. This comprehensive set means you can cut a variety of different lengths without having to invest further in accessories. Other packages might fall short of this by only offering 4 blades for instance. A premium storage case is included where you can organize and store away all the accessories that come with the Wahl Elite Pro. A nylon bag is also included where guide combs can be stored. To conclude, the Wahl Elite Pro is a great choice for the amateur that is looking for a comprehensive solution. The combination of the excellent motor, accessories, durable blades, and a cheap price means the package is good value for money. You’ll have to work hard to find a better deal in the marketplace. The under $70 category is the one you should be looking in to get a mix of value and quality. The selection of high-quality hair clippers in this section is both for professional use and for homeowners looking to save some money. Pay attention to the number of included accessories to ensure you’re getting a complete package. If you already have a large number of guide combs from a previous hair clipper, then a standalone unit without accessories is not going to be much of a disadvantage. The Wahl Lithium Ion Clipper is another excellent Wahl hair clipper that is wireless and has a solid build. This purchase is affordable at around $50, which means it isn’t the cheapest option on the market, but for the quality, you’re getting a lot of value here. You’ll love the combination of the powerful motor and sharp blades. The special thing about these hair clippers is the 2 hours of battery life that is achieved from the lithium ion technology. The relatively long battery life ensures that you can use this model in a barber shop to serve multiple clients before needing to change the battery. However, if you run out of battery then you can make use of the 15 minute quick charge feature to get enough juice for a single cut. There is an LED light that allows you to know when the time to charge is. One of the limitations of this product is that it is for US electrical outlets only. So if you are going to take this hair clipper abroad you will need to invest in another model. Cutting short hair is a straightforward process, but doing it for longer hair can be more complicated. Ensuring that a smooth cut is achieved means you need blades that are sharp. 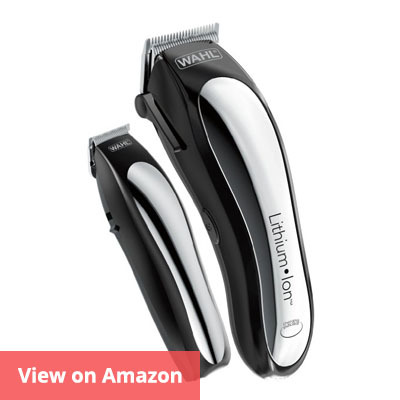 The Wahl Lithium Ion Clipper achieves the consistency that is needed for longer haircuts. Another positive aspect of this product is the self-sharpening blades. They will stay sharper for longer and that means less maintenance. Additionally, a soft case is included where you can store the different accessories that are needed with hair cutting. This reduces the amount of clutter and the chances of a specific item getting lost. To summarize, the Wahl Lithium Ion Clipper is a great wireless product that gets the job done for the heavy user. The long battery life and precision blades mean this product is great for professional use. However, the price tag is not too high, which means the amateur buyer can also invest in this hair clipper as the first model. For a unique hair clipper that offers something different, the Remington HC6550 is an excellent choice. This model allows the hair to be sucked in into the body of the unit so that it doesn’t make a mess. It’s a great model to pick if you are cutting hair at home on a carpet. The size of the bin is relatively large and should gather all the hair in a single cut. One of the highlights of the hair clipper is the easy to clean design. You simply detach the blades and run them under water to complete a quick clean of the Remington HC6550. The blades are titanium coated, which means they can cut even the thickest of hair in a straightforward manner. The battery takes 4 hours to charge – a relatively long amount of time. When at 100% you get 60 minutes of running time, but you can also use the clipper in corded mode. The versatility to make a choice is great for using the product the way that meets your requirements. The package includes a storage pouch, which is useful for storing the product away when not in use. This reduces the chances of losing the little accessories that you need to store alongside the main unit. To summarize, the Remington HC6550 is a top hair clipper that can be used to cut a variety of hair types in an efficient manner. The combination of the vacuum design, cordless option and competitive price means you’re getting a great package. Also, the included soft pouch adds a lot of extra value. The OSTER Fast Feed Adjustable Pivot Motor Clipper is well-studied for the homeowner that is looking to save some money on their haircuts. This product is a solid investment if you have a member of a household that is capable of cutting hair. The 12 amp motor is powerful, yet doesn’t make a lot of noise. This is great if you don’t want to frustrate others around you with noise pollution. It is said that the motor here is twice as powerful as one that is found on a magnetic motor. The settings can be changed via the adjustable lever and the sharpness of the Cryogen-x blade is great for getting an even cut every time. This is a corded unit, but the 8 foot cord allows for flexibility. One of the negatives of this product is that only 4 guide combs are included. Ideally more would be added so that the barber has more options to get the specific cut. However, this problem can be overcome by investing in more guide combs separately. One of the great achievements of this hair clipper is the ability to cut dry hair. You will not need to wet the hair in order to get a professional looking cut. It’s also ideal for different types of hair, which includes thin, thick, and afro. The consensus is that this hair clipper is easy to use, and this makes it easier for beginners to learn the ropes. If you are inexperienced and need to use hair clippers that can help you learn then the OSTER Fast Feed Adjustable Pivot Motor Clipper is an excellent choice. To summarize, this OSTER model is a beginner friendly choice that provides value for money. The quality of the blades and power of the motor means you are going to get longevity and performance out of this model. Just be aware there are only 4 guide combs included here. One of the smaller and unique hair clippers that you need to pay attention to is the Remington HC4250. The small size means you can take it with you while traveling without it taking up much space. The design fits in the palm of your hands and it is unlike any other hair clipper you might have used in the past. It is aimed at the solo operator who is looking to cut their own hair without it becoming a complicated process. The battery allows for 40 minutes of running time, which is more than enough to complete most hair trimming jobs. Included in the package are 9 guide combs for alternating lengths, a cleaning brush, and oil. This allows you to maintain the self-cutting hair clippers in a straightforward manner. The blades can easily be cleaned, which means maintenance is not a problem with the Remington HC4250. The rubberized grip means the operator can use the hair clippers to effectively shave their hair. The areas that the product is specifically intended for is the head, around the ears and the neckline. 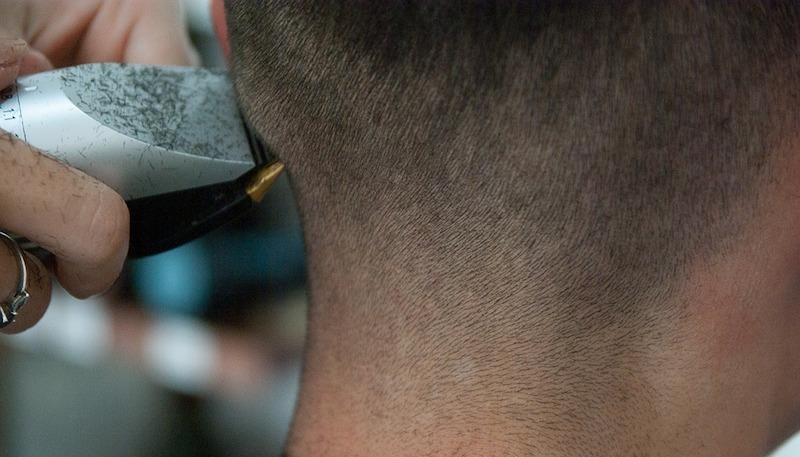 In particular, it is easy to shave the back of your head and neck because of the ergonomic design. A Remington storage pouch is included in the deal, which means you have somewhere to store the unit and all the accessories. Since this is a portable hair clipper the soft bag can be used when traveling. 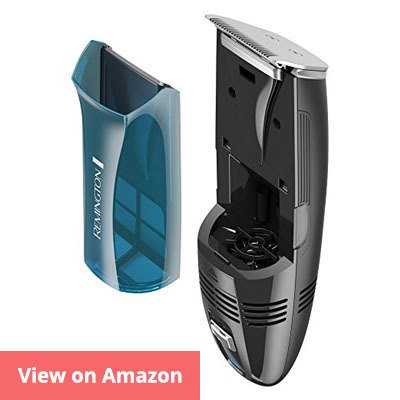 To summarize, the Remington HC4250 is a great choice for men looking to shave their own hair or people who need a small hair trimmer for travel. The small size means it is a highly portable product, and a soft bag is included to store away all the accessories conveniently in one place. Furthermore, the inclusion of 9 guide combs is excellent as it means you’ll get the exact length you’re looking for. Wahl is one of the better brands in the hair clipper industry, and the Wahl Professional Essentials Combo 8329 is a great choice. It is aimed at the professional barber. The package has a combination of the AC trimmer and Taper 2000 Clipper. For the price of around $60, the value for the performance is great here. The black design is stylish and has an ergonomic design. The weight is relatively light which means you will not suffer from fatigue after using these all day to serve customers. This combo is great for advanced users and rookies looking to get started in the industry. It comes with 4 guide combs, oil, a cleaning brush, and blade guards. Therefore, you will not need to buy extras to get going. Just consider getting more guide combs to get the exact length of haircut that the client wants. An 8 foot cord is also included that is chemical resistant. It’s flexible and will not restrict movement significantly. There is a 5 year limited warranty, which should give you the peace of mind that this product is going to be serviceable in your barber shop for a long time to come. Overall, the Wahl Professional Essentials Combo 8329 is one of the best budget professional hair clippers that you can invest in. The combo provides versatility, longevity, ergonomics, and precision. Even if you are new to the haircut business you’ll find that getting to grips with this Wahl product will be a straightforward process. 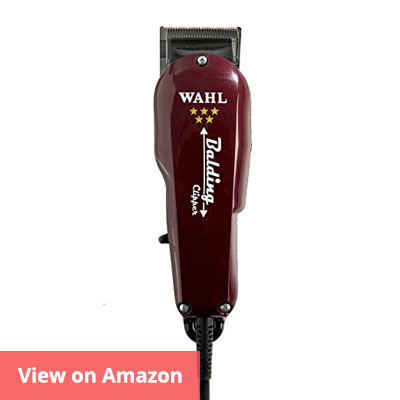 A competitively priced hair clipper for professional use that you can rely on is the Wahl 5 Star Balding. This red machine packs a lot of punch for the price point of around $50. The array of comprehensive features gives you an idea of why this product is designed for professional use. The size and weight of the Wahl 5 Star Balding are average. The body has a 6.25 inch grip. 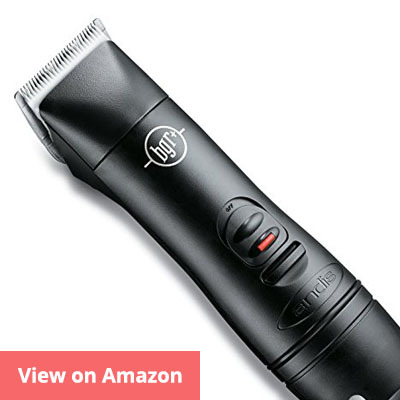 This balding clipper is great for users that want to get a great shave for that clean bald look. The V5000 electromagnetic motor is powerful and will provide longevity for the product. The blades deliver the sharp performance that professionals require. Therefore, if you own a barbershop this product is a great choice. The surgically close cut ensures that barber clients are going to be happy when they leave. It’s also skin friendly, so expect the client to have no complaints. The design makes it not only comfortable for the user but also for the person getting the haircut. The blades are German-milled titanium, and they are self-sharpening. This ensures the sharpness of the blades is excellent and will not blunt in the near future. The package includes 3 trimming attachments, a cleaning brush, and oil. All that a clipper for bald people would need to get the job done fast. 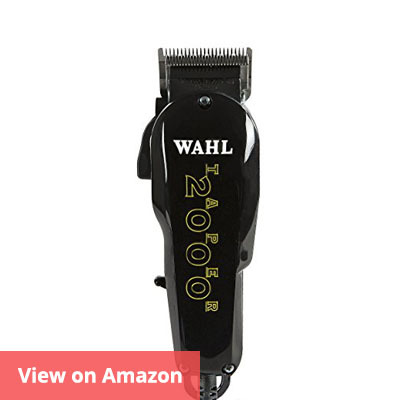 To conclude, the Wahl 5 Star Balding is an excellent hair clipper that can get the job done. This model is a must buy for any barber that wants to serve clients with bald heads. At around $50, it is a solid purchase that provides a good dose of value. However, keep in mind that the blades are very sharp. So it is advisable that only experienced barbers use these. The selection of hair clippers in this category is for the professional user that requires a high level of performance. For barbers that require durability and precision to get a good cut, this category is the one for you. The extra price is worth paying if you know how to get the most out of top-tier hair clippers. The quality of the blades is what sets the hair clippers in this category apart from the others. 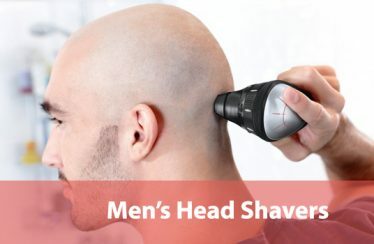 However, if you are a homeowner that is looking to buy an average hair clipper for family use, then one of the cheaper categories should be chosen. 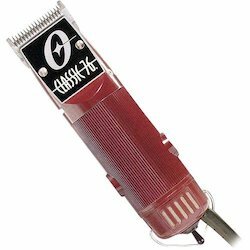 The OSTER Classic 76 Universal Motor Clipper is one of the top hair clippers you should be investing your money in for professional use. OSTER is a company that is known for great value for money, and this model will not disappoint you. The motor of the OSTER Classic 76 is powerful enough to allow for efficient cutting through thick hair. When using the same blades for a long period of time they might become blunt, but that’s a problem you are rarely going to experience with the OSTER Classic 76. Fortunately, the powerful motor is quiet to run compared to other similar models in the marketplace. The maneuverability of the 9 foot power cord is excellent and reduces the feeling of constriction. While being a professional hair clipper, the OSTER Classic 76 can also be used by rookie barbers that are just getting into the business. 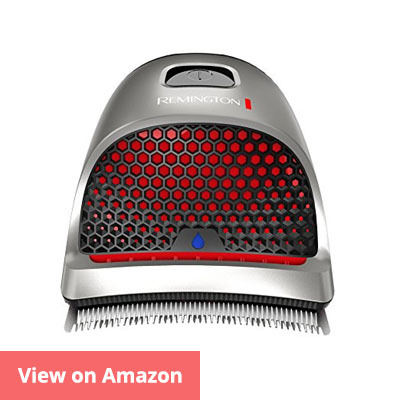 It’s an excellent hair clipper which means newcomers will not be frustrated when using it. Also, you are not going to break the hair clippers easily and this should give you the confidence that’s needed to complete the cut well. 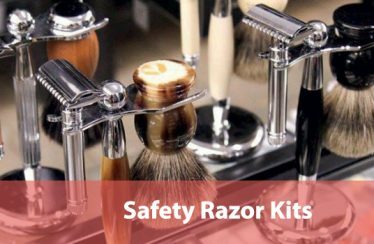 The package includes a cleaning brush, clipper grease, lubricating oil, blade guard, detachable blades and the body of the unit itself. The complete package means you will not need to buy many extras to get the job done. The blades that come with the OSTER Classic 76 have an antimicrobial element which means top levels of hygiene can be achieved. When using the same blade on a few people per day this is an important point to note. The blades are also very sharp, which means you can rely on them for performance with typically tough hair. 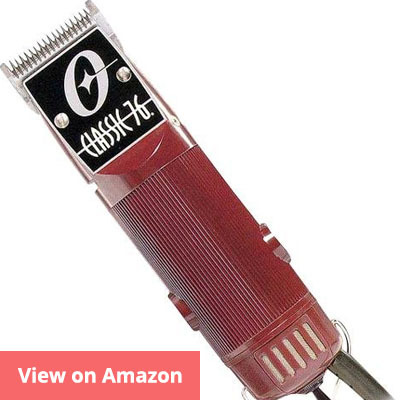 Overall, the OSTER Classic 76 is a well-rounded hair clipper for the professional. The price is higher than the average hair clipper as it’s over $100. 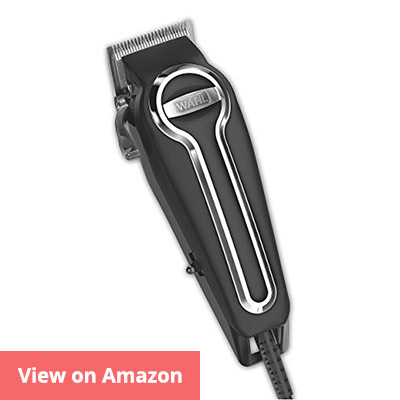 However, the extra performance and ease of use make this one of the best hair clippers around. The power of the motor and sharpness of the blades is a great combination paying extra for is worth it. Andis is a top-tier brand in the hair business, and this model is a no-brainer for serious professionals. If you’re looking for a product that delivers performance, precision, and you’re interested in making an investment, then this is for you. The Andis Professional Ceramic Hair Clipper has a powerful rotary motor, but it doesn’t weigh a lot. The hair clipper is great for medium and thick hair, which might be tough to cut with other types of hair clippers. One of the advantages of this hair clipper is that it is wireless, and the battery lasts for up to one hour before recharging is required. The lack of a cord means you can cut hair in a more flexible manner. However, since there is only one hour of charge you’ll need additional batteries to use this hair clipper all day long. Fortunately, it only takes one hour to charge the battery to 100%. The blades are detachable, which means the blades and body of the unit can be easily cleaned. Additionally, the Andis hair clipper has a strong build, and you can expect wear and tear to not be a factor for a long time. A unique aspect of this top hair clipper is the ceramic blades. They are sharp and provide longevity. You will not need to replace them for a fresh set any time soon. They are resistant to corrosion and do not conduct heat. To conclude, the Andis Professional Ceramic Hair Clipper is a top choice for the professional that is interested in providing a superior haircut. The sharp ceramic blades, powerful motor, and cordless design mean you’re getting a top class product. The only drawback is the price point of over $200, which is more than most hair clippers on the market. The features below are the things that you should pay attention to when buying hair clippers. The buying process is simpler when you know what to look out for in a pair of hair trimmers. This makes it easier for those of you that have never bought hair clippers in the past. Ideally, a powerful magnetic motor should be included in the package so that cutting will be efficient on day 1 and years into the future. The power of the motor determines how much force will be used whilst cutting hair, and also how quickly it will eat the battery up. You’ll need to have a good quality battery if an excellent motor is included. However, another aspect that must be considered relating to the motor is the noise level. Powerful motors can be noisy, and if that’s a problem for you then opting for a quieter motor should be a consideration. For example, if you run a barber shop then having quiet motors is ideal if you do not want to scare the customers away. You should think about how versatile your hair clippers will be. This includes freedom of movement and the ability to cut different types of hair. For example, this can include the neck, mustache, around the ears, and the main hair. The more a single hair clipper can do, the fewer different types of hair clippers you need to own. With regards to freedom of movement, it helps if the cord is extra long or better yet wireless. 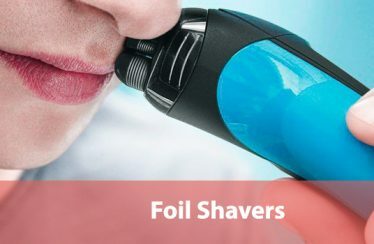 This allows the operator to cut the hair freely without worrying about the limitations of the cord. Having to adjust for the cord means the barber can lose focus and get frustrated. Also, accidents are less likely to occur when the design is wireless. Naturally, the drawback of a wireless unit is the need to charge the unit once in a while. Different people want different styles of haircuts and to cater to all requirements you must have adjustable blades. Ideally the best hair clipper will have a number of blades that are included in the package. This means you do not need to buy them separately. A number of blades might be required to get the haircut that is desired. This is especially true if the haircut is an very extravagant one. The more tools the barber has to work with the better or more specific the end result will be. Other accessories that you can invest in are guide combs. These can be used to get the proper length of the hair. More guide combs means you can get the length of the hair exactly as intended. There are a number of different parts to a hair clipper that need to be stored away in an organized manner. There is nothing worse than looking for a specific guide comb and it is nowhere to be found. Therefore, the best hair clipper package will come with a bag that can be used to store away all the accessories. Hair clippers differ by weight and body type. You need to pick a model that works best for you. For example, if you do not feel comfortable operating with a heavy hair clipper, then selecting a lighter one should be towards the top of your buying priorities. This is especially important if you will be cutting hair all day long. The size of the body will also play a role in how readily you can operate it without feeling uncomfortable. For beginners, it might be a good idea to walk into a physical store and try holding a few models. For experienced barbers you might already know exactly the body size you’re looking for. You can also rely on reviews from users. Who should buy the best hair clippers? For those of you that work at a barbershop or own one, you will find the selection of different models in this guide more than enough. However, you might want to aim towards the premium end of the scale, because they are heavy duty models that can withstand everyday usage. Also opting for the models with the adjustable blades and low noise levels makes sense. This ensures people can get the exact haircut they came in for and feel comfortable in your barbershop. You can find some real bargains if you are looking for a haircutter that is cheap. The price of buying hair clippers is small compared to the entire family visit the barbershop on a regular basis. The cost of investment will more than pay for itself in the first year. You should pick a model that’s easy to learn. With the right pair of hair cutters, you can get the haircut that you want. Whether you own your own hair salon or you plan on cutting your own hair, you can find a model for you. How to Make Your Hair Less Staticky?